As anyone following us on Facebook or Twitter will know, last week we joined Ex England Rugby Captain, Phil Vickery, for a VIP beer tasting at House of Fraser in Darlington. 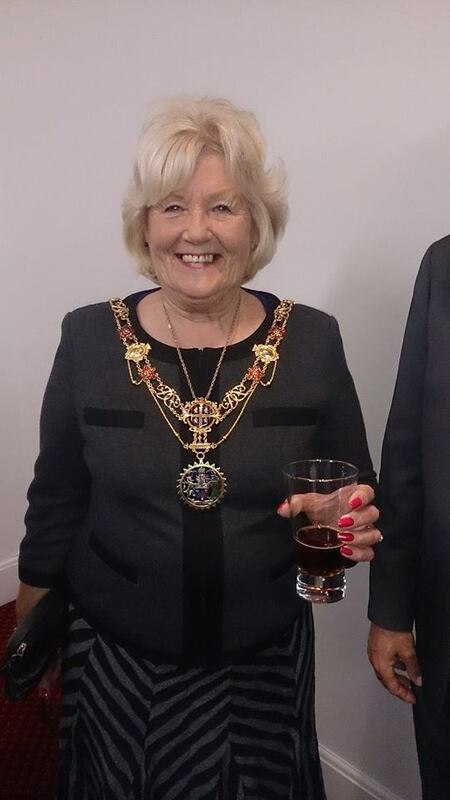 The Mayor and Mayoress of Darlington, along with members of local Rugby Clubs and a selection of guests were invited to toast the opening of the new Raging Bull concession with a few quality Real Ales from the heart of the Yorkshire Dales. Phil particularly enjoyed the beer and was really interested in where we source our ingredients. We spoke at some length about encouraging local production in the UK, which he actively promotes through various other forums. He was delighted with a gift of a pack of Richmond Ales and in return donated a signed Raging Bull rugby ball which will be auctioned off for Charity later in the year. Of course, everyone at the event loved the beer, and staff and guests agreed it was a great local addition to the event. We hope to do more events with House of Fraser Darlington and within Darlington as a whole in the near future. Keep an eye on our events page for more!